What are the Effects of Cerebral Palsy on the Brain? People with cerebral palsy may have issues with motor function and body movements. Cerebral palsy may cause seizures and cognitive disabilities. Some cerebral palsy patients may benefit from occupational therapy. The effects of cerebral palsy on the brain may include brain dysfunctions such as cognitive disabilities and seizures. They can also include problems with a patient’s motor function and restriction on body movements and muscle coordination. Physicians may perform medical imaging tests to get a better view of the cerebral cortex of the brain and the lesions that often result from cerebral palsy. Cerebral palsy is a neurological disorder that typically is discovered during childhood. The condition has a number of possible causes, including damage to a child’s brain prior to birth. A decrease in the flow of oxygen to the brain of an unborn child can cause damage to the cerebral cortex and result in cerebral palsy. The risk of cerebral palsy is typically greater among infants who were born prematurely. Blood clots, strokes and infections of the brain can also lead to this brain disorder. Brain disorders from cerebral palsy can cause a delay in the development of child’s cognitive abilities. In many cases, children with this disease eventually develop normal intellectual abilities after an initial developmental delay. Seizures can also occur in the brains of patients with cerebral palsy and cause involuntary muscle spasms as well as a stiffening of the body. These seizures may vary in their severity and may be accompanied by other effects of cerebral palsy on the brain such as flashing lights or other abnormal sensory phenomena. Vision problems are also among the common effects of cerebral palsy on the brain and may include blindness in some cases. Speech disorders are also found in many cerebral palsy patients and may include problems with the pronunciation of words as well as an impaired ability to move the tongue, lips and palate to form spoken sounds. Spinal cord damage is another possible effect of cerebral palsy on the brain. 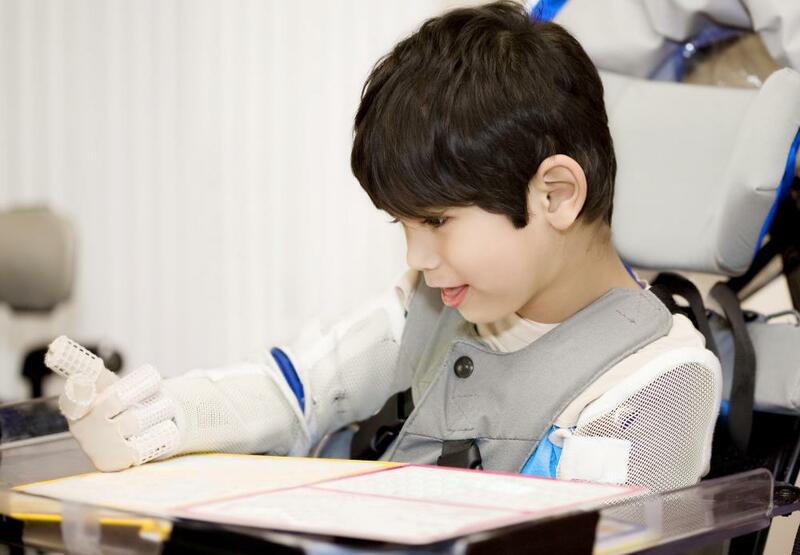 Patients with cerebral palsy may receive one or more types of medical treatment. Therapists can assist patients with the development of motor functioning and muscle control by using physical therapy or occupational therapy in many cases. Patients with speech difficulties may undergo speech or language therapies. In some cases, drugs such as diazepam may be prescribed to help relax muscles that have stiffened from this disease. Some individuals may undergo orthopedic surgery to help them gain the ability to walk, and braces, splints or other orthotic devices may be prescribed to help patients with movement and everyday functioning. What Are the Functions of the Cerebral Cortex? 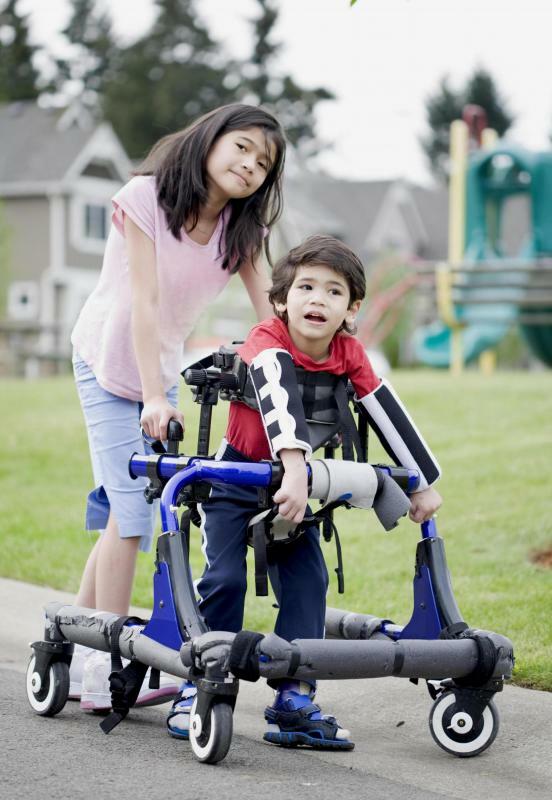 What are the Different Types of Cerebral Palsy Physical Therapy? What is the Effect of Cerebral Palsy on Speech? What can Cause Cerebral Palsy at Birth? How do I Choose the Best Bell's Palsy Treatment?